Last week, Youtube user "Fisher86" posted what appeared to be a video shot with a camera phone of a shark in Lake Ontario. It resulted in mainstream news coverage and official government warnings. It was all a hoax created to drum up interest in Shark Week. And to scare people. A video of a what appeared to be a bull shark swimming off of Wolfe Island in Lake Ontario has been revealed to be a marketing ploy for Discovery's Channel's Shark Week and its sponsor Nissan Rogue. 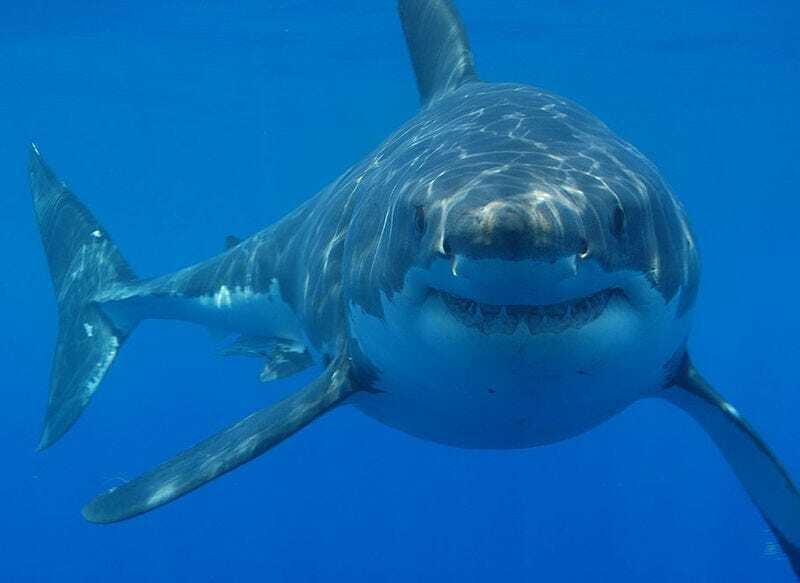 "Discovery wants to quell the concerns of Canadians everywhere and reveal that the widely-circulated video of a shark swimming in Lake Ontario is, in fact, not a real shark," a news release issued Wednesday says. "The video of the incredibly life-like prosthetic model shark is the first stage of a multi-level marketing campaign tied to the channel's iconic summer event, Shark Week." But for local residents on Wolfe Island, where the video was supposed to have been filmed, the entire matter was one that set some on edge. "I was really fearful," said Laura Staley. "Overall, I'm absolutely relived." For Kody Paul, the matter was something he had to discuss with his two young boys over the past week. "Our kids grow up swimming in these waters," he said. "It certainly switched up the atmosphere around here." Because the best way to advertise your iconic summer event is to scare people. Shark Week is no stranger to nonsense, of course. Last year, they aired a "mockumentary" about the continued existence of a giant prehistoric shark called Megalodon, including hiring actors to pretend to be scientists in the film. Then they were pleased with themselves when it turned out that they convinced most folks to believe that Megalodon still swims our oceans. "This video has certainly sparked the conversation around sharks, confirming what we already know to be true: Canadians are captivated by these creatures," said Paul Lewis, President and General Manager, Discovery. "We're ready to feed this fascination next month with more SHARK WEEK hours than ever before." While a lot of negative attention has rightfully focused on "Megalodon: the monster lives," much of the rest of Shark Week 2013 was also troubling ( see my full breakdown in Wired). One particularly nonsensical documentary was "Sharkpocalypse," a title so bad that the hosts mocked it during the show. The content wasn't much better. This documentary claimed that shark "attacks" are increasing because we killed too many sharks so now there are too many seals so there are too many sharks. Huh? This year, it appears that Discovery Channel and Shark Week have decided to double down on serving the public their heaping piles of nonsense and even further blur the lines between reality and fantasy. "It sort of seems a bit unethical to frighten people," University of Guelph marine biologist Jim Ballantyne told the National Post. No kidding.